When it comes to experience, we have an abundance of it. Offering 20 years in the trade, we know exactly what skip suits your needs best, so don’t hesitate to get in touch with us today! 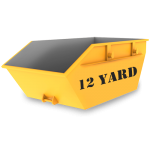 Our skips are available in a range of sizes, starting from as small as 2-cubic yards and as big as 40-cubic yards. However, if this still isn’t big enough… an enclosed compactor bin may be better suited to your requirements. The materials you can throw in your skip vary for the type of skip you hire, a domestic skip can hold waste materials from your home renovation project, whereas a commercial skip has a greater capacity and is ideal for the safe storage of commercial and industrial waste!